On the afternoon of Aug. 19, 2017, East Coast Time, statistics professor Salil Mehta discovered that he had been banned by Google. As reported by ZeroHedge.com, this entailed having all of his Google-linked accounts erased and rendered inaccessible, from his e-mail to his blog to all of his Google-hosted university pages. This came as a complete shock to the Columbia University adjunct professor as he had been given no reason nor warning for the total wipeout of every single one of his accounts. 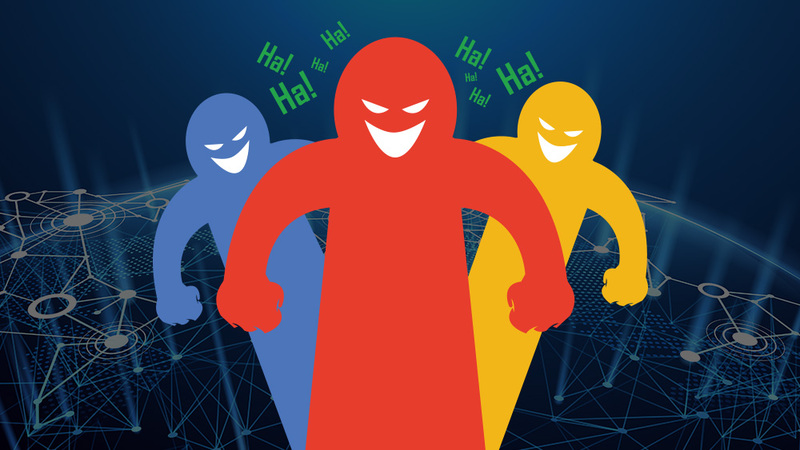 All of his repeated attempts to restore those accounts were rejected and explained away by Mehta allegedly violating the company’s Terms of Service…despite the fact that nearly all of his Google-related efforts were dedicated to promoting math theory. In his own words, Mehta’s background was spotless and absent of “political or social agenda”. At no point or time did he advocate or denigrate a certain viewpoint. Mehta then went on to ask if Google intends on treating “all CEOS and professors and politicians” the same way, if they plan on holding kangaroo courts and treating all their customers without tact or grace. He recalled how his appeals were greeted by stone-cold silence for days, and then answered coolly and with little empathy to his situation. Fortunately, Mehta’s story ends on a happy note. According to OneNewsPage.com, Google finally relented and restored all of Mehta’s accounts to their former state on Aug. 22, 2017. For his part, Mehta has gone on to state that he has no intention of commenting on the incident any further, nor does he begrudge Google. It remains unknown, however, what the exact reasons are behind the initial ban. Google doesn’t mind being called out for its censorship of different viewpoints. They don’t care that their silencing of “naysayers” affects scientists and statisticians, men and women who, for the most part, are committed to preserving and presenting the facts as they are. Even if they hurt or go against the grain. But then again, that’s exactly why Google would want to suppress them, right? Because they think and speak of something different? Even or especially if it’s the truth? To keep up to date on Google’s continuing war against the truth, go to Censorship.news today. Verizon wireless customers have noticed their video streaming being throttled when testing their speeds on Netflix and YouTube. The telecom giant later confirmed that video streaming speeds were being temporarily capped. In a statement provided to Ars Technica, Verizon claimed users were experiencing lower speeds due to a temporary test they were conducting on a new video optimization system. Customers who tested their data speeds on fast.com, which runs from Netflix’s servers, found Verizon’s LTE network was capped at around 10 Mbps. Multiple users on Reddit also reported that their data appeared to be capped on Netflix. Users at Howard Forums said the cap was being applied to YouTube as well as Netflix. A representative from the company said that caps were applied across the board to all video applications on the Verizon Wireless network. However, when users compared fast.com with other speed tests, they found drastic differences in speed while using the same Verizon network. Users who tested their speed using a virtual private network (VPN), which hides which sites they were visiting, also noticed that they had much higher speeds. While it is true that many users would not be able to notice a difference, those who tether their phones to other devices could experience lower quality video. Netflix also said that Ultra HD quality video may require 25 Mbps, but only for non-mobile devices. According to Verizon’s website, those with an unlimited plan should not be throttled until they reach 22BG of data in a month, and even then, they should only experience throttling if their network is congested. Internet service providers (ISP) like Verizon are subject to Title II regulations under the Federal Communications Commission (FCC), which requires them to treat all traffic equally. The current head of the FCC has called for net neutrality rules to be rolled back, which would allow Verizon to prioritize or manipulate traffic to any site or application.